Combining our knowledge of pay structures and our expertise in short and long term incentive arrangements alongside our extensive remuneration databases, we are ideally placed to assist companies in the development of remuneration strategies that support their business objectives. Reward Strategies allow a business to effectively match business needs to reward provided. 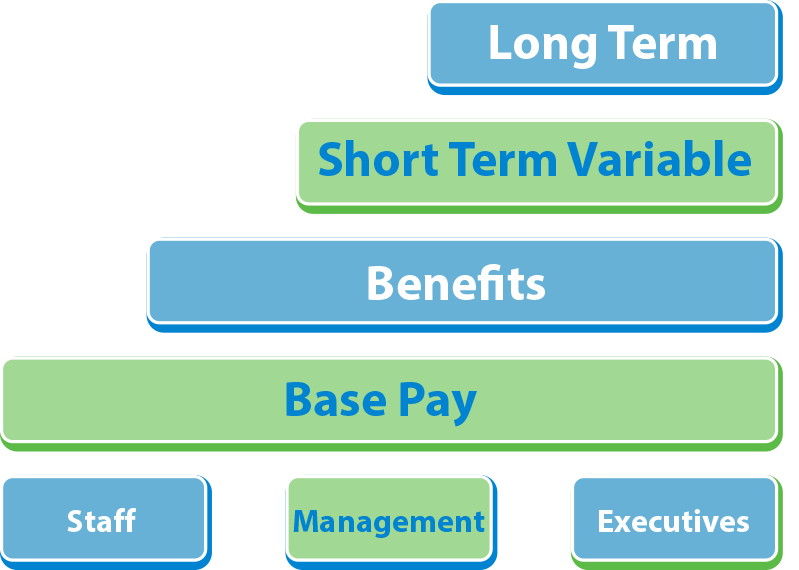 This covers not only the structure of remuneration, base, bonus, benefits and long-term rewards (as appropriate) but also the positioning of those elements. Using our unique three-dimensional database we can also match remuneration to comparative employee attitudes. Our skills with pay structures, often aligned with our proprietary job evaluation scheme, allows sophisticated modeling to optimize the most beneficial pay structure both short and long term.